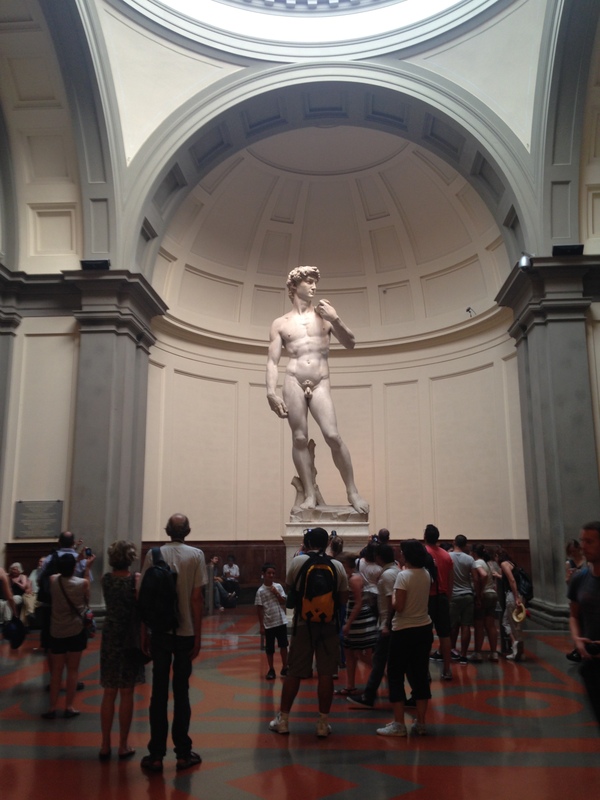 It was hard to decide where to make day trips to in Italy. 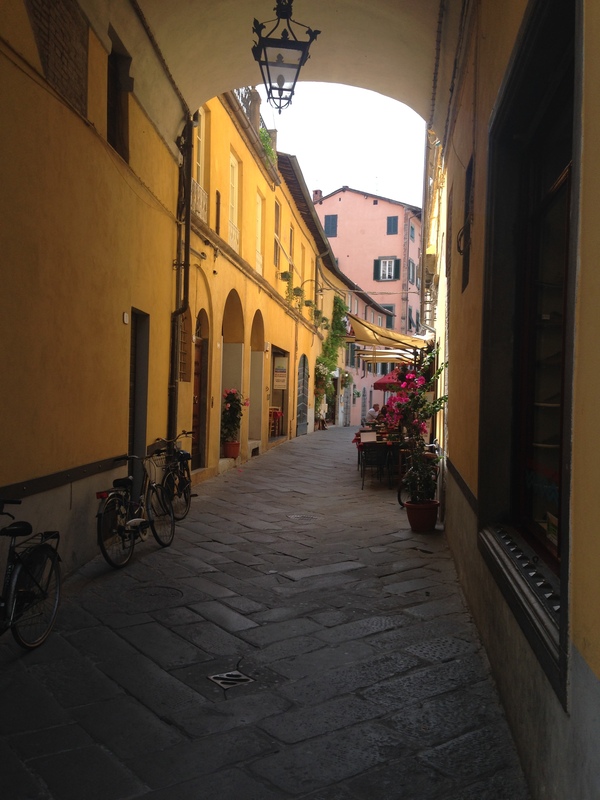 There were a multitude of small towns with beautiful stories and delicious food….upon the suggestion of a local, we decided to take an afternoon and go see the town of Lucca. The old city and it’s surrounding wall has remained intact throughout the years, which is uncharacteristic of the cities in this region of Italy. 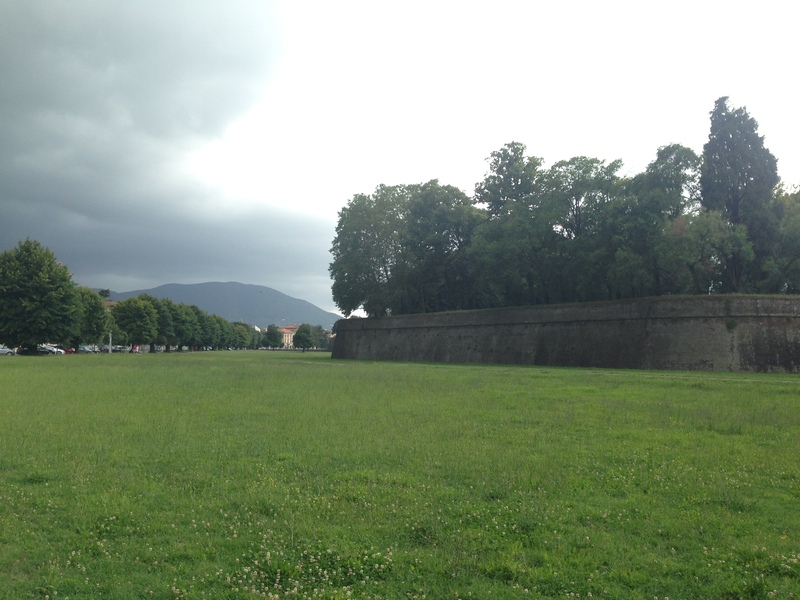 The city walls are now primarily used for pedestrian traffic and each of the four sides are lined with different species of trees. It made for a gorgeous afternoon walk. This is a picture taken from the outside of the inner city’s walls. We spent a good part of the day strolling around the street market and deciding where to have lunch! Then we found a playground for Annalea and Sylar to blow off some steam. Of course it was hot so they didn’t last too long 🙂 We also meandered into the inner city streets. 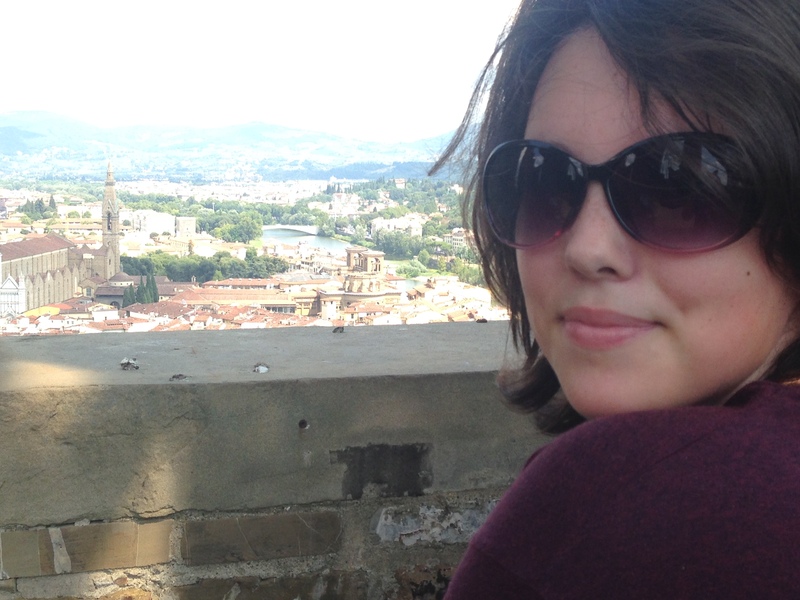 It was a maze of beautiful, bright old buildings with surprises lurking around every corner! 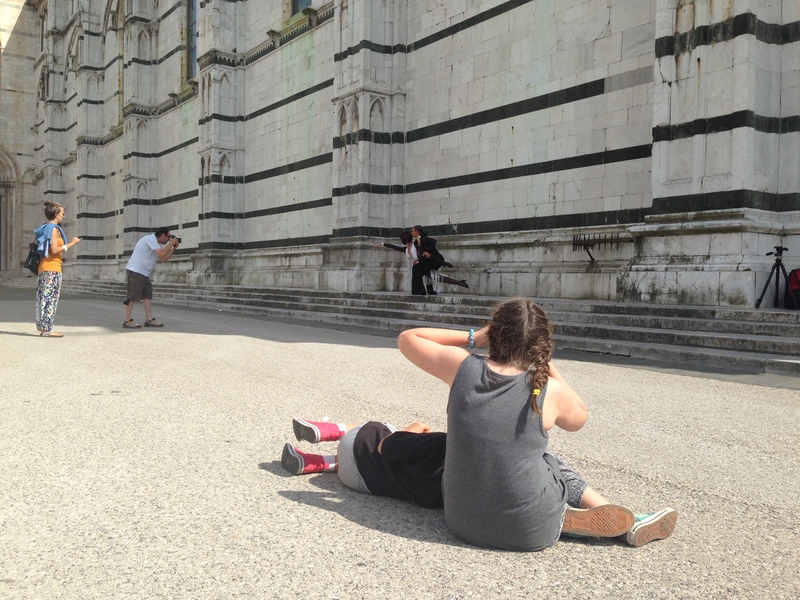 We found Piazza San Martino as we were walking and encountered a photo shoot for some dancers. I’m not sure where they were from, but they were in full costume and the kids wanted to watch. 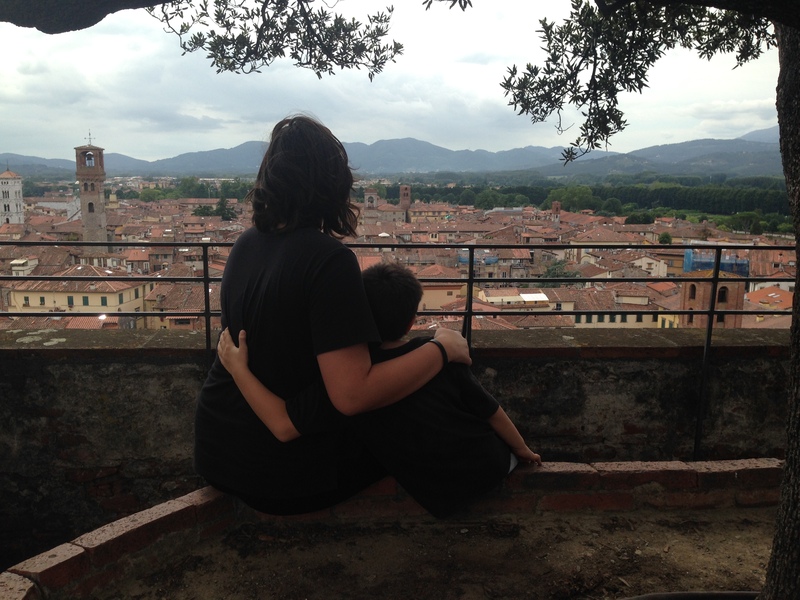 We also decided to walk up to the top of Torre Guinigi. The top of the 44 meter tower has a garden of oak trees in it! It is said that the original family planted the trees in the tower as a sign of renewal and rebirth. The last descendents gifted the tower to the city and is now a lovely attraction in the old part of the city. You can go here and see a great view of the tower itself. 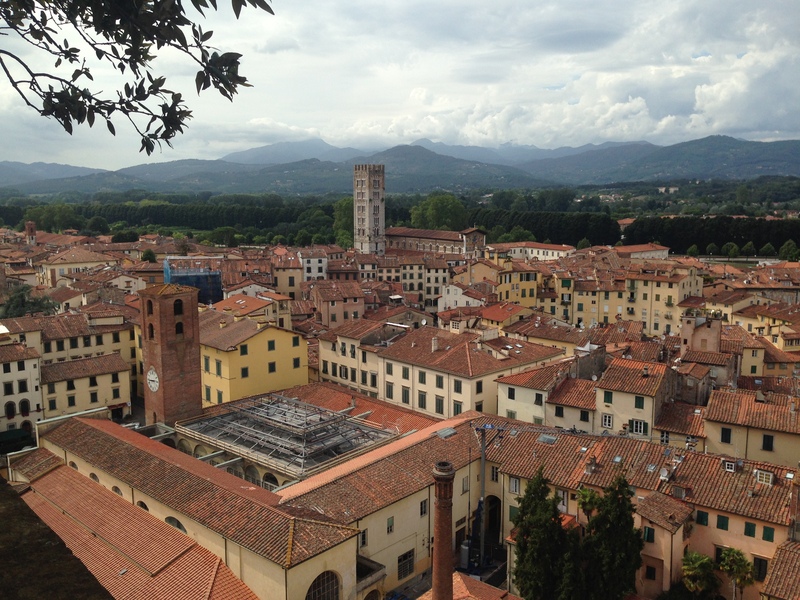 Lucca was definitely a good find for a glorious day out. 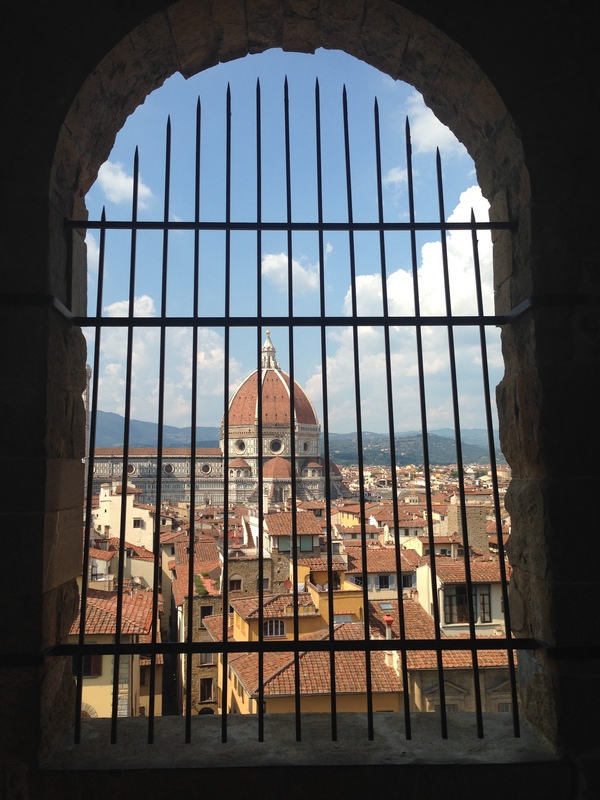 Grace and I also had the opportunity to go back to Florence by ourselves after Carl came home from work. We decided to take the day and see the ”boring” stuff! 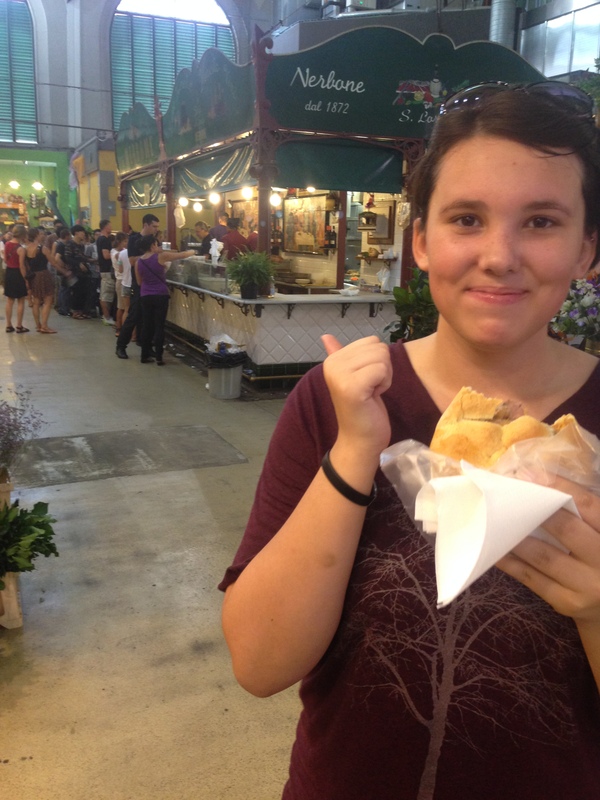 We started by having an amazing sandwich at the San Lorenzo market. I am not even going to try to express the party that my taste buds had with this snack! 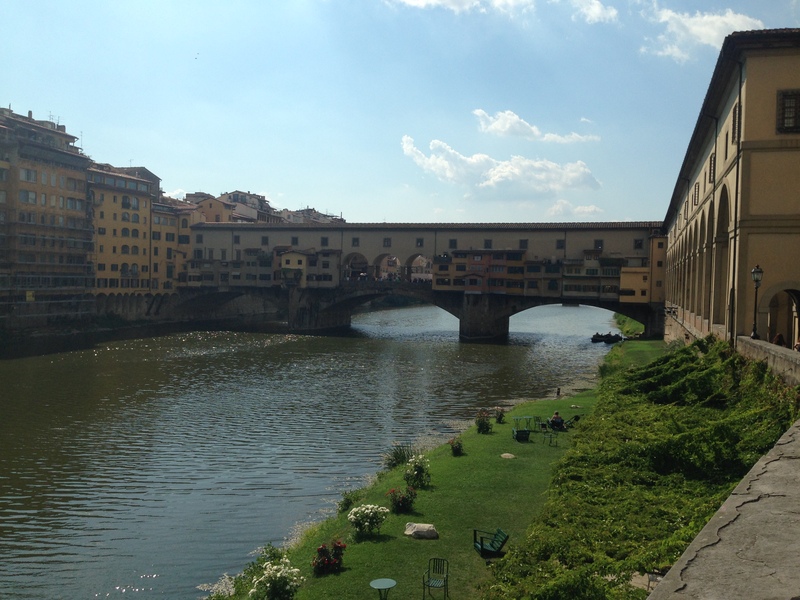 We strolled down by the river to take a better look at Ponte Vecchio. 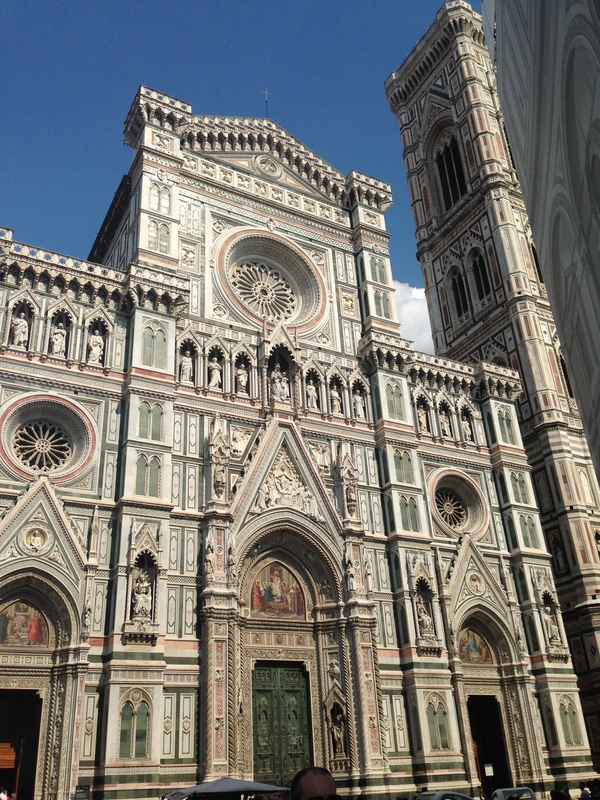 We had some lunch beside the Florence Cathedral. 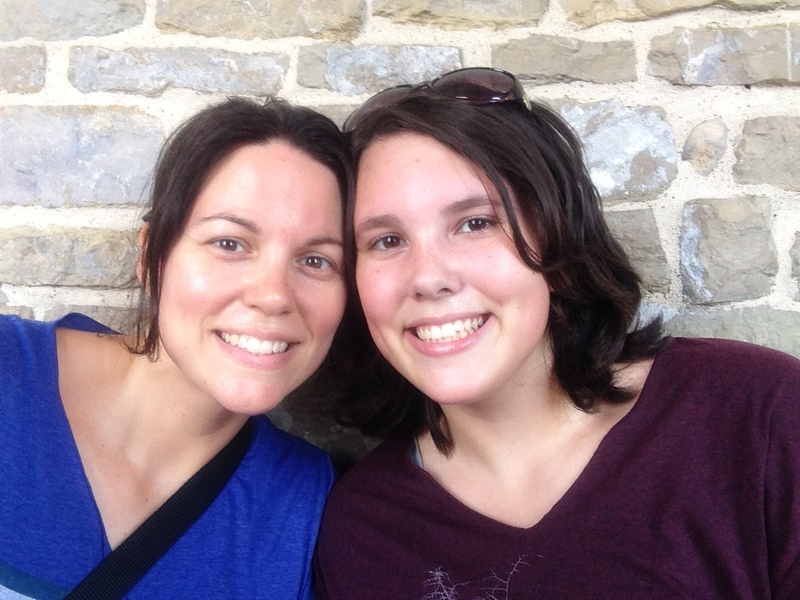 Previous PostMmmmmmm…..PizzaNext Postwhat did we do in Switzerland?